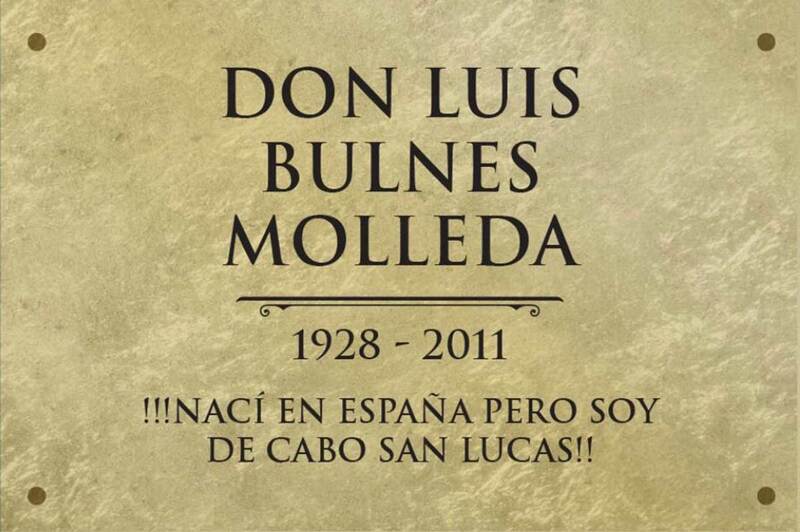 On March 29, 2018 there was a dedication ceremony, in honor of Don Luis Bulnes Molleda, one of the Baja Pioneros, along with an unveiling of his statue. Don Luis is considered to be the father of Sportfishing in Cabo San Lucas, among his many other accomplishments. Jorge Tellez, on behalf of Marina Fundadores (Founders), requested and was granted permission to restore and relocate the monument. Mid-afternoon, March 29, 2018, the dedication was held as the statue was unveiled on the malecón overlooking the Cabo San Lucas Marina at the Fonatur roundabout, next to Hotel Breathless and in front of Marina Fundadores in Cabo San Lucas.